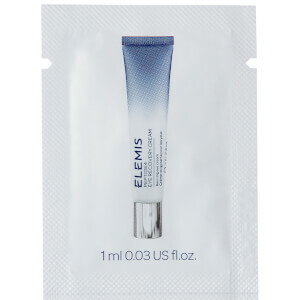 Elemis Pro-Collagen Marine Cream is Elemis' most popular and powerful anti-aging cream. 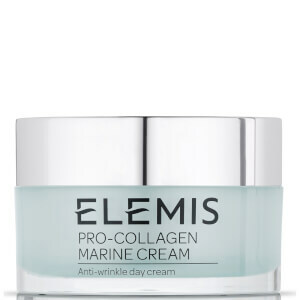 Elemis Pro-Collagen Marine Cream is a powerful anti-aging cream provides a progressive lifting effect through increased collagen support. 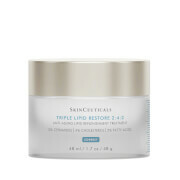 The dynamic combination of ingredients helps to deliver visible results within 15 days. 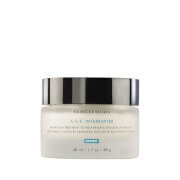 Aqua/Water/Eau, Glycerin, Caprylic/Capric Triglyceride, Glyceryl Stearate SE, Isononyl Isononanoate, Dicaprylyl Carbonate, Dimethicone, Triticum Vulgare (Wheat) Germ Oil, Butyrospermum Parkii (Shea) Butter, Chlorella Vulgaris Extract, Padina Pavonica Thallus Extract, Daucus Carota Sativa (Carrot) Root Extract, Porphyridium Cruentum Extract, Acacia Decurrens (Mimosa) Flower Extract, Rosa Centifolia (Rose) Flower Extract, Ginkgo Biloba Leaf Extract, Tocopherol, Phenoxyethanol, Polyacrylate-13, Stearic Acid, Tocopheryl Acetate (Vitamin E), Coco-Caprylate/Caprate, Cetyl Alcohol, Xanthan Gum, Glyceryl Polyacrylate, Polyisobutene, Fragrance (Parfum), Citric Acid, Chlorphenesin, Glyceryl Acrylate/Acrylic Acid Copolymer, Sodium Dehydroacetate, Disodium EDTA, Polysorbate 20, Sorbitan Isostearate, Hydroxyisohexyl 3-Cyclohexene Carboxaldehyde, Butylphenyl Methylpropional, Linalool, Citronellol, Potassium Sorbate, Sodium Benzoate, Citrus Limon (Lemon) Peel Oil, Cuminum Cyminum Seed Oil, Cedrus Atlantica Bark Oil, Limonene. 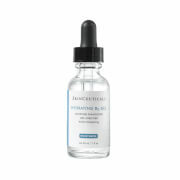 absolutely fantastic product. The result was very quick and maintained. Although expensive it is worth every penny. 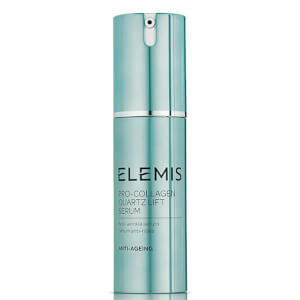 You have to treat yourself you only have one skin t live in so take care of it.